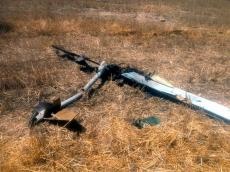 The air defense units of the Azerbaijani Air Force destroyed an X-55 tactical unmanned aerial vehicle (UAV) of the Armenian Armed Forces, the Azerbaijani Defense Ministry informed on June 19. The UAV attempted to carry out flights over the positions of the Azerbaijani Army units in the Fuzuli-Khojavand direction of the front. Armenia uses UAVs against Azerbaijan from time to time, whilst the Azerbaijani Army timely suppresses the enemy's attempts to escalate the situation in the region.